With the onset of Industry 4.0, the challenges faced by companies are now on the rise. However, the opportunities are also ample. Companies providing services as their core product cannot compromise on quality. Their IT solutions e.g. cybersecurity, network infrastructure services etc., have to be fully functional and fool proof. Moreover, their legal and recruitment software and apps must be fully safe and impenetrable. Thus, companies in the services sector require a constant check on the quality of their software, mobile, and web applications. Kualitatem’s dedicated testing and quality assurance teams test apps and software for penetration, usability, functional, and performance tests. We, therefore, test an app or software from all angles allowing proper identification of errors and bugs. Our unique library of thousands of test cases and scenarios help us greatly in this regard. Functional testing tests apps across web, mobile, or enterprise desktop platforms that require frequent manual testing. Our testing capabilities enable us to enhance UX, remove bugs, generate good output data, test system units, correct module collaborations of systems, and clear identification of different functions. We also conduct smoke, acceptance, and system tests where functional testing skills come in very handy. For an application to be market ready it is essential that it has appropriate system configuration, proper hardware and software integration, and is free of bugs. Performance testing helps to check the actual way a software or an app behaves when tested against pre-requisite requirements. With performance testing, ensure that your apps work seamlessly without any bugs or errors etc. For legal, recruitment, and IT industry user experience is key. Apps, software, and web portals must have an engaging user experience design. We help in testing the usability of the platform with our strengths in hallway, UI, A/B, remote usability, and UX testing. Our quality assurance team has an experience of more than 10 years in identifying bugs early on, removing issues in user interaction results, identifying key loop holes in the user experience, and testing web accessibility for any errors. Companies require presence across platforms to cater to the needs of diverse individuals. The compatibility of a software or application (web or mobile) must be tested across multiple platforms. A company. Testing legal, recruitment, or related service industry app helps in maintaining quality for all available devices, systems, and browsers. Our regression testing services ensure that any new features or enhancements to your applications or software do not negatively impact their existing quality. We have a decade-long experience of conducting regression tests. 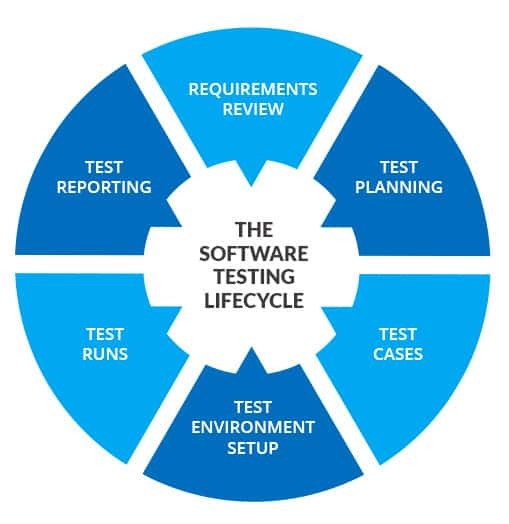 Our regression testing capabilities entail a detailed traceability matrix, dependency analysis, inconsistencies check between current and previous releases, risk-based analysis that includes FMEA, output from code coverage etc., and continuous pruning that helps by removing obsolete test cases. Service industries require the TCoE model to enjoy conformance with international standards, best industrial practices, and latest tools and technologies. A comprehensive TCoE package helps companies to achieve a scalable testing framework. This framework helps them to rigorously and exponentially evolve as a company that is known for its quality products.